Amtrak retired the 3209 Rippling Stream and sold it to a company that was overhauling equipment and selling it to Mexico. The Rippling Stream was eventually sold to a private owner. The owner stored it in the Austin Steam Train’s yard. In 2012, the owner approached Austin Steam Train about purchasing the car. 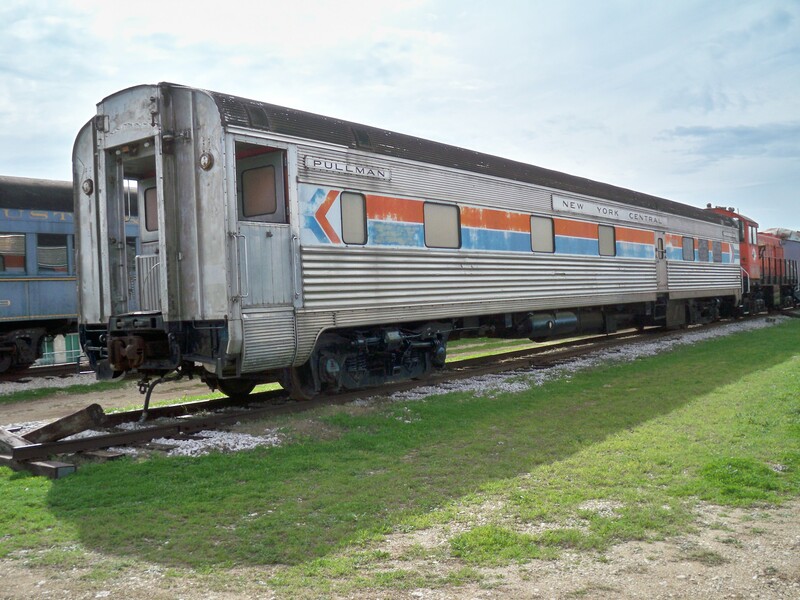 The Austin and Texas Central Railroad that operates the Austin Steam Train agree to purchase and restore the car. After restoration the Rippling Stream made its first revenue run on April 12, 2014 on the Bluebonnet Festival Flyer from Cedar Park to Burnet and back. It has some interior work yet to be done, such as the window dressings but that will be done in-service. The ride is smooth and quiet with the feel of the Wolverine or Ohio State Limited. And if you let your mind wander, you will think once again you are riding the “Water Level Route”. 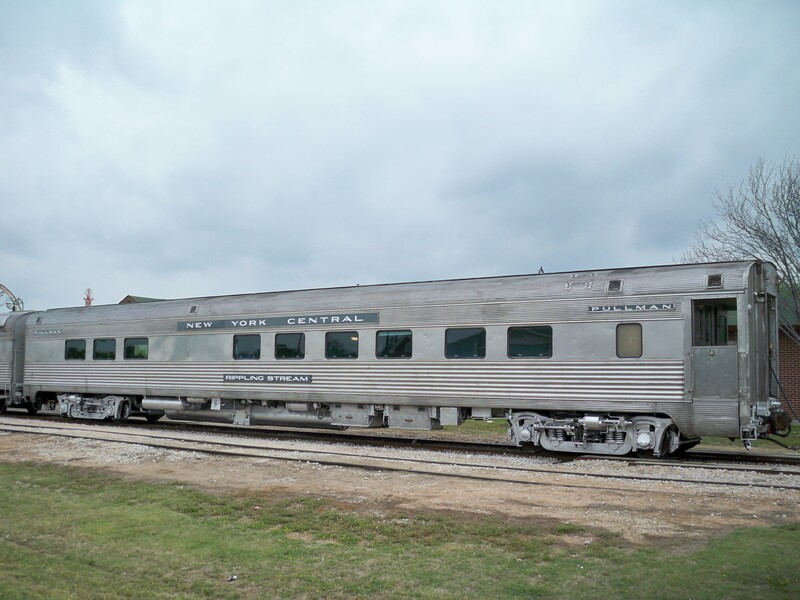 The Rippling Stream is not totally among strangers in Texas, the Nickel Plate City of Chicago and coach 107 keep it company along with Lackawanna coach 325 that saw each other from time to time during their tenure in the northeast and mid-west. 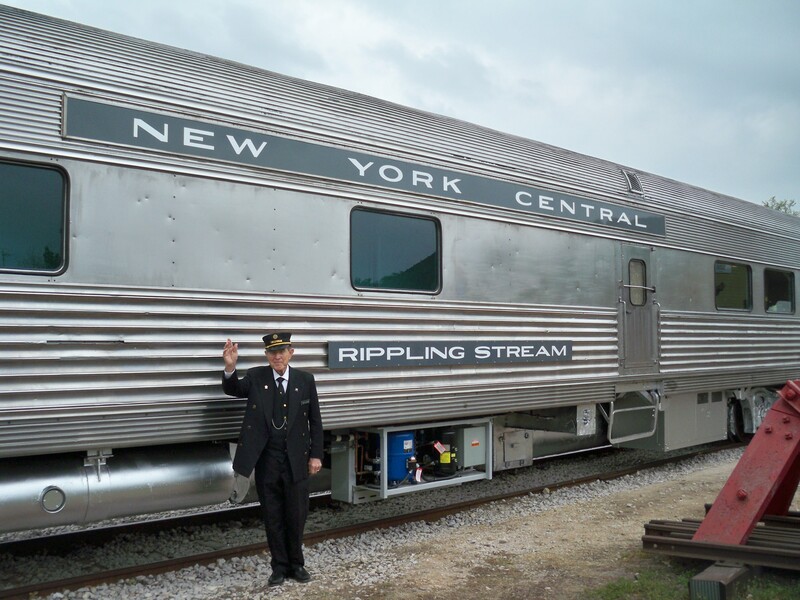 The Rippling Stream was built by the Budd Company for the New York Central System in 1949. It was part of a multi-car order under lot 9663-023. The Rippling Stream has 9 sisters Forest Stream, Gulf Stream, Rapid Stream, Boulder Stream, Crystal Stream, Woodland Stream, Swift Stream, Mountain Stream, and Rainbow Stream. It was common to give cars the same last name and have a theme in a multi-car order. 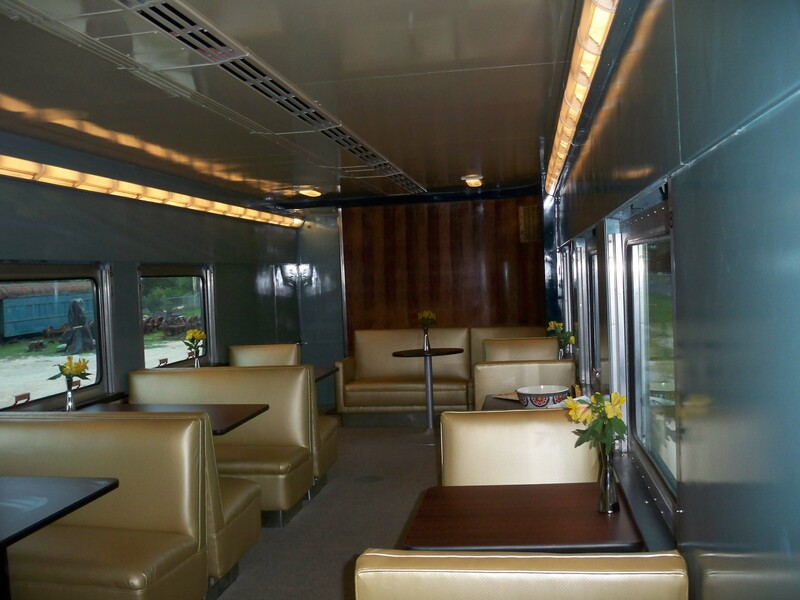 The configuration of the Stream cars was 6 bedrooms in pairs that could be combined to form 3 double bedrooms. The lounge had 22 non-revenue seats. It also has a bar and prep area between the bedrooms and the lounge. The original car number was 10623 and later changed to 658. Amtrak car before restoration. Lounge Interior. Highball out of Burnet. Click here to read the history of the restoration. Click here to read about Rippling Stream. Click here to read about the Austin Steam Train. This entry was posted in NYCS News, Research Information. Bookmark the permalink.